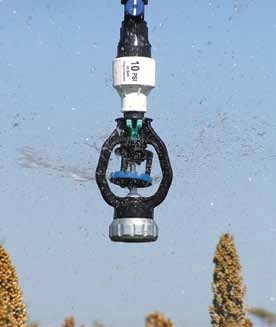 Uncontrolled pressure fluctuations in irrigation systems result in unwanted flow deviations and over or under watering. 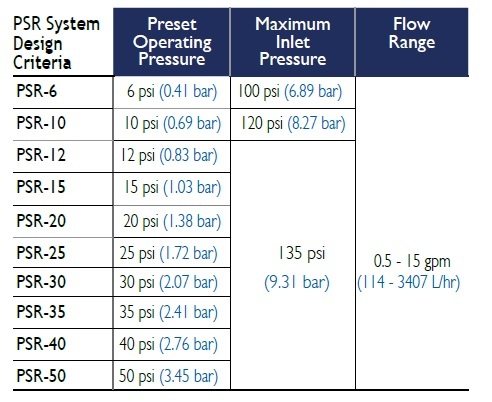 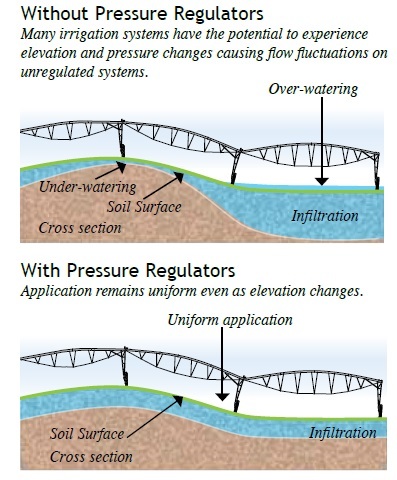 Proper use of pressure regulators prevents these fluctuations due to elevation changes, fluctuations in system demand, and water supply and helps to maintain overall efficiency of an irrigation system. 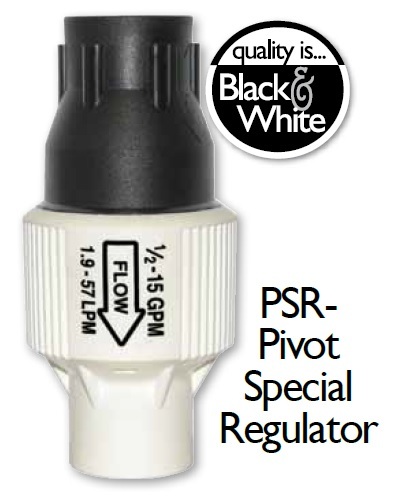 Caution: Always install downstream from all shut off valves.